Maybe you’re hearing skittering noises in the middle of the night. Maybe you’ve found holes chewed in the sides of cereal boxes or bags of dog food. Maybe you’ve even seen them, sprinting across the kitchen floor and into a crack in the wall you’ve never noticed before. 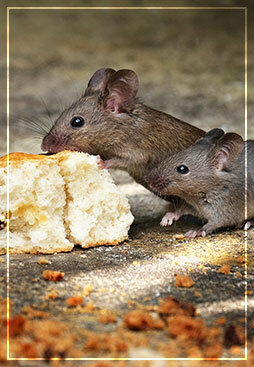 Mice and rats are a problem that you definitely do not want. Rodents love getting into foods whenever possible, and along with making a huge mess, they can contaminate what was perfectly good food. Along with chewing containers, they love chewing on electrical wiring, flooring, and your walls. Damage apparently isn’t good enough for them, since they also can spread diseases dangerous to humans such as hantavirus, rat bite fever, and salmonella. So how are you supposed to deal with rodents? You could get a cat, assuming you’re not allergic and assuming it feels like hunting. The more reliable option is to contact the professionals at Patriot Pest Management. Serving clients throughout upstate South Carolina, we pair 30 years of experience with treatments that are effective and environmentally responsible. For more information or to schedule an appointment, contact us online or by phone today.